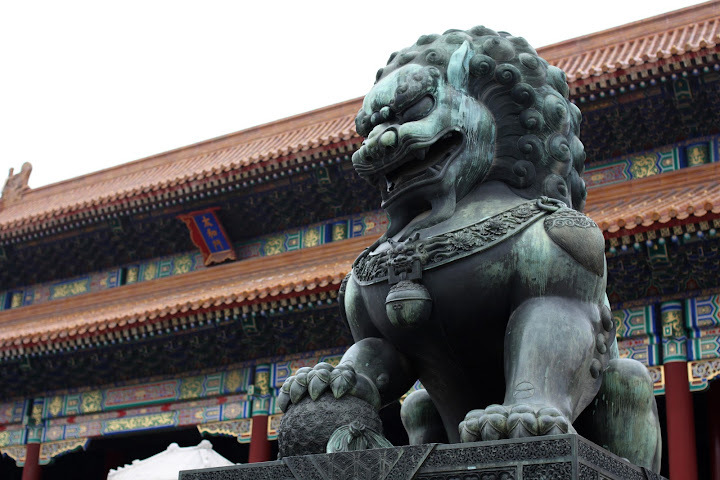 My next post on China – Forbidden City, Treasure Museum is available Triptrop.me. I’m just back from our trip to China. We left on 17th October and came back on 2nd November 2015. 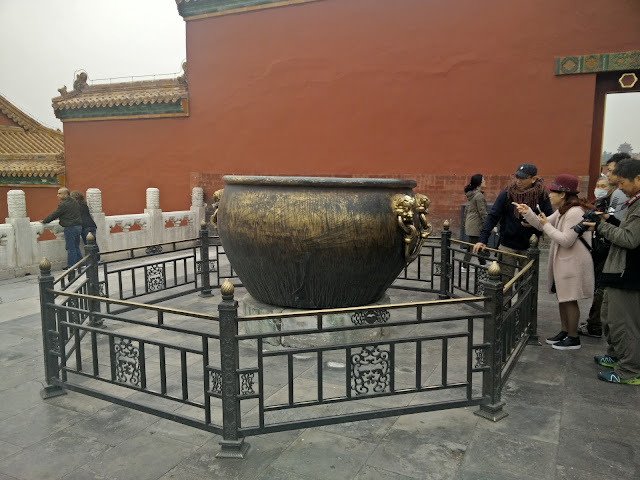 We wanted to see The Great Wall and Forbidden City and then decide where to go next. We ended up traveling by train to Datong (Chinese: 大同; pinyin: Dàtóng), then Pingyao (Chinese: 平遥; pinyin: Píngyáo) and finally Shanghai (Chinese: 上海市). We traveled mostly by train. 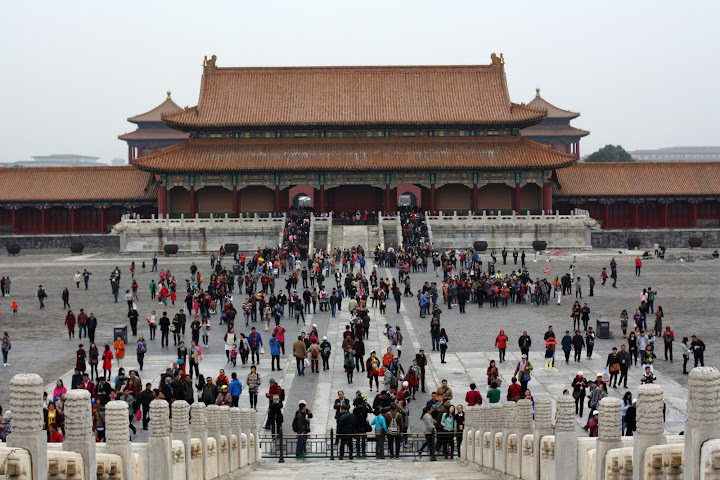 Hard sleeper from Beijing to Datong (K43) for 104.50 Yuan. Hard sleeper again from Datong to Pingyao (K961) for 117.50 Yuan, back to Beijing (K604) for 163 Yuan and finally with bullet train from Beijing to Shanghaihongiao (G107 & G118) for 553 Yuan each way. We always checked the online schedule and availability before buying tickets at railway station or railway agent. I really recommend Travel China Guide. You need to remember that Google is not working at the moment in China, but Bing is. Also no Facebook. We loved the trains. They were comfortable, clean and in case of bullet train very fast. Crew always makes sure you have something to eat or drink (yes you have to buy it) and there is free boiling water in every compartment (think instant soups and tea). We haven’t traveled so much on trains on any other trip. Above picture of our bullet train. And it’s not 10 trains for the whole country. On every station we saw dozens of them on platforms or on the side tracks. Very impressive. Each one has a 1st, 2nd and business class. And here is a short video from the hard sleeper. I was expecting it to be dirtier, packed and loud. But it was alright. I read somewhere that it’s best to take middle bunk as on the lower one people join you and sit on your bed and the top one is very warm. We asked for the middle bunk so and we spent all our journey on fold up chairs instead. For the next journey we got low bunk and nobody was trying to sit on it. Maybe cos we are “aliens” and people were keeping their distance. Anyway it is true that Chinese (not all but many) talk and eat very loudly. In train we came across a couple of passengers that lived up to our expectations. And yes it was disgusting to hear them munching, slurping, hem and haw. Yes, they do it everywhere in restaurants, trains, streets, but it’s not something that I will remember above all else. In regards to smoking. People used to be able to smoke everywhere but now government introduced smoking ban in most public areas. Still if you smoke nobody will scold you if you know where it’s acceptable. Besides the high speed bullet trains (G) other trains are classified by the following letters: Z/T/K/L/Y/S and they run day and night. Within the train there are different types of seats available: hard sleeper, soft sleeper, luxury soft sleeper, hard seat, soft seat. For more information with pictures you can visit Travel China Guide. To buy a ticket you need to present your ID or passport. After the visit in China it feels like you need to show your ID on every corner. We were even checked walking down the street in Beijing. They closed the sidewalk, set up a security gate and X-Ray for bags and checked everyone who wanted to pass. We did not use this machine to buy our tickets. We got the at the counter. Separate for foreigners. In typical communist fashion we waited forever for anyone to come and then to get served, even though nobody was queuing to the other sales assistant. she told us to wait in front of the empty one until somebody comes. We had all details written down in Chinese in my notebook so the operation went smoothly. You buy a ticket and it’s check at the entrance to the station (with your passport), next you go through security check (just like the one at the airport) plus personal scan, the on to waiting room. Between the waiting room and the platform the ticket is checked again, then it’s check at the entrance to the carriage and again when conductor comes to replace it with something what looks like magnetic card key. They just before your destination the same man comes back and gives you back your paper ticket and takes back the card. There is no use for the card on the train (you don’t swipe it anywhere). The world is always changing. Every day it’s changing. Everything in life is changing. We have to look inside ourselves to find what stays the same, such as loyalty, our shared history and love for each other. In them, the truth of the past lives on.